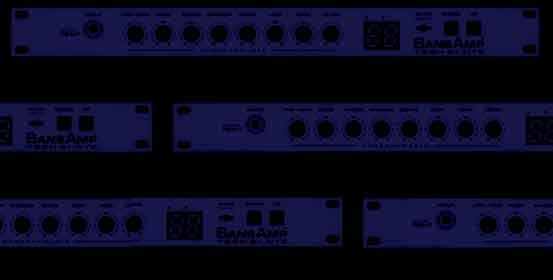 SansAmp PSA-1 is the brilliant preamp, isn't it ? You can get various drive sound very similar to that from the famous brand like Marshall, Mesa Boogie, etc. Only you have to do is to turn the knobs and find the sound that you like. There isn't any dedicated circuit for each brand, that means you can get every sound that you want from the same one drive circuit with continous value. PSA-1 doesn't have any tubes. I wondered that how PSA-1 could simulate the brands, but sadly, there's no articles describe the actual preset values. I couldn't find it even in the user's manual or Tech21 WWW site. So I decided to get the values by myself. I used MIDI dump functions within it. The preset values are stored in strange 4-bit format in the preamp. I got the values through the following procedures. The preset values are stored in 4-bit format and have reserved spaces between the patch blocks. I wrote simple C++ program, so I converted the SysEx binary file into the following text format. The patch names are not stored in the SysEx data. I appended them manually.